Steven spent yesterday on site at Larkhill House in Sligo. 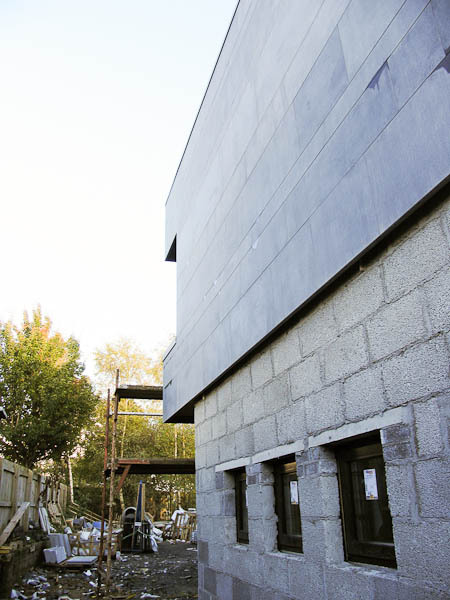 Lots going on with the stone cladding nearing completion, the final pieces of glass arriving on site and the cedar cladding now going on. Hope to have the scaffolding down soon so we can fully appreciate that stone!